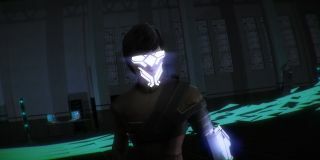 Thomas Was Alone creator Mike Bithell is making a noise again, this time with Volume—a stealth action game about utilising sound to distract turrets and guards. Here, in a new trailer, the game's launch date is revealed: August 18, on Steam (and PS4). Volume is built with the hope that the community will take the existing levels and expand upon them. Everything in the base game is available to be remixed, enhanced or rebuilt. On top of that, there's a story that features voice acting by Andy Serkis and Danny Wallace. Sam recently spent some hands-on time with the game, and you can read his impressions through this link.